Allergy symptoms vary depending on what kind of allergies you suffer from, and how severe your reaction is. Scientists still have not really figured out why some people react to seemingly innocuous substances while others do not. Researchers have determined that allergies seem to run in families. However, environmental factors also have an influence. Researchers have found breast fed infants seem to have more protection against allergies. Allergy symptoms occur when your body reacts to a foreign particle. Mucus is one of your body’s first lines of defense. The membranes of your nasal passages produce this clear liquid to trap any foreign matter or bacteria you may breathe in. The trapped bacteria can lead to a cycle of congestion alternating with periods of clear breathing. 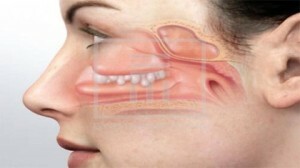 Congestion can also alternate between nasal passages. If you suffer from a mild allergy, your allergy symptoms may include a rash, congestion or itchy watery eyes. This includes sneezing, postnasal drip, a runny or clogged nose. You may have dark circles under your eyes. Mild allergies do not usually affect other parts of the body. However, moderate allergy symptoms might cause reactions elsewhere in the body. These symptoms can include itchiness and difficulty breathing. A severe allergy reaction can cause anaphylaxis. This is a rare but life threatening occurrence. Your entire body will react suddenly to an allergen. You could feel itchy eyes or an itchy face to start out. Within minutes you could progress to more serious symptoms including swelling in your air passages. Asthma can also be caused by other inhaled substances or by respiratory infections. If you have asthma you may experience coughing, wheezing , difficultly breathing, or chest tightness. 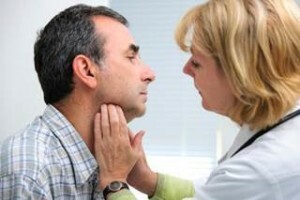 Your doctor will be able to tell if you have allergy symptoms, or if something else is causing your discomfort. A number of conditions can be caused by allergies including allergic rhinitis, non-allergic rhinitis, allergic dermatitis , asthma and contact dermatitis. Seasonal allergies are one form of allergic rhinitis. Hay fever is a pollen allergy. Pollens, weeds or mold spores usually trigger the allergic reaction. If you have perennial allergic rhinitis, it could be set off by dust, dander, mold, or certain food. Allergic or atopic dermatitis are terms for eczema. Food and allergens can be responsible for a skin reaction. You may develop itching, swelling, or a rash after touching certain plants, chemicals, metals or cosmetics. Chronic rhinitis is a condition that lasts for longer. You may have allergies if this is the case. However, chronic infections can also lead to this condition. Structural problems may also contribute to Chronic Rhinitis. As you age, you may experience dry mucus membranes. Your cartilage may weaken and this can change your air passages. You may need to avoid allergens and airborne irritants. There are many causes of rhinitis, and your doctor will help determine what is behind your symptoms. Hypothyroidism, pregnancy or genetic disorders such as cystic fibrosis can also cause rhinitis. Sometimes decongestant medications can have a rebound effect that causes symptoms that mirror allergy symptoms. You may be able to prevent chronic allergic rhinitis with medication. If you have severe seasonal allergies, you should start treatment several weeks before pollen season. You’ll need to continue medication throughout allergy season. Allergy testing may help you pinpoint the causes of your allergy. So will trial and error. Some people can help their body build immunity to allergens with a series of injections containing increasingly potent extracts of allergens.